If you are looking for cruelty free and vegan skincare products with natural active ingredients then Spa Technologies is the place to go, with a vast array of products designed to improve your skin with a strong emphasis on anti ageing so helping to combat those fine lines, wrinkles and dehydrated skin issues we start to suffer from as we age. Being in my 40’s I’m also keen to seek out nutrient rich products that really work for my skin and help me attain that youthful glow. The Flower Peel Serum is a multi purpose vegan skincare product and with it’s natural ingredients promotes gentle exfoliation along with nourishing the skin using antioxidants and anti inflammatory ingredients. Stimulating new cell growth leaves skin smoother and more youthful looking which is what most of us aim for. Salicylic Acid: Beta-hydroxy acid decongests pores in treatment of problem skin. Gently exfoliates surface skin which decongesting pores. Green Tea Extract: Antioxidant concentrate. Laminaria Algae: Pure paste of this nutrient rich marine seaweed harvested off the coast of Iceland, it has an abundance of vital elements including zinc, copper, manganese, potassium, iodine and magnesium. Soothing emollient, it promotes circulation for a healthy glow. I found the serum a pleasure to use, it easily glides onto skin and then is absorbed quickly ready for a layer of moisturiser on top. It leaves your skin feeling fresh and renewed and definitely boosts your skin compared to not using it. Having used it for a couple of weeks now I would definitely miss it if I didn’t include it in my skin care routine as it really makes a difference leaving skin brighter and smoother. If you are on the look out for some vegan skincare products that work, then definitely check this out! Scienea Superfruit Anti Ageing Serum is manufactured in the UK and prides itself on using only natural ingredients to create skincare products with proven results to aid skin issues such as ageing, repairing and restoring skin. The Superfruit Anti Ageing Serum is packed full of over 20 natural ingredients including Pomegrante Oil, Apricot Oil, Rosehip Oil, Sunflower, Flax Seed Oil, Rasberry Oil, Pumpkin Oil and Strawberry Oil to name just a few, that penetrate deeply into the skin to help to reduce fine lines as well as smooth and enhance the firmness of the skin. With over two years of research to come up with the final product I had high hopes for the performance of this serum. It’s so simple to apply and using your fingertips you can just massage the serum onto a clean skin and allow it to penetrate through the pores to get to work. It has a lightweight easy flowing texture and is best left for a couple of minutes to sink in before applying moisturiser but perfect to use as part of your daily skin care routine. I found the product to be really easy to use and it just glided across the skin leaving it feeling ultra hydrated and enriched. It really smooths the feel of your skin and leaves it looking fresh and youthful. 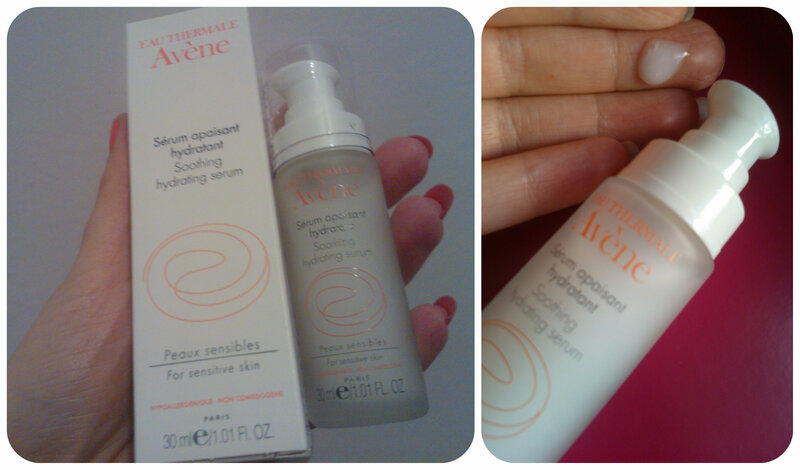 I’m really enjoying using the Scienea Superfruit Anti Ageing Serum and feel that my skin is plumper and soft to touch. I hope the results over time help to maintain a youthful glow across my skin as in just a few weeks it certainly feels good and is a pleasure to use. Why not try out the Scienea serums for yourself – available in Superfruit for Anti Ageing or Superberry for Repairing & Restoring the skin. Oyster Brightening Eye Serum is a brand new premium brand formulated in British laboratories. It is also vegan and contains a multitude of natural active ingredients to produce a lightweight serum that gives results. Although perfume free it has a subtle aroma of essential oil – lavender, grapefruit and mandarin. It comes in an easy to dispense pump style bottle and just enough serum comes out to use around both eyes. It’s easily absorbed and I found it great to use both morning and at night time. It’s more powerful ingredients include smoothing Hyaluronic acid, anti-wrinkle Pentapeptides and Co-enzyme Q10 along with antioxidant Green Tea & Raspberry Extracts and gently soothing Cornflower. Combined the ingredients tackle anti ageing, puffy eyes and dark circles. I have been using this for the last couple of weeks and love the feel of it around my eye area. It is a transparent gel like serum that feels soothing and hydrating on application but you can also feel it’s gentle firming effects. My eye area looks brighter and more youthful which is a great way to start the day and the perfect base for my eyes before applying moisturiser and make up. I’m really pleased with the Oyster Brightening Eye Serum and will enjoy continuing to use as well as being a product I would be happy to purchase again in the future.